While yoga classes are an effective way of learning and practicing, there may come a time when a students need can best be served in a one-on-one relationship with a teacher. In a private yoga session, I devote my undivided attention to your yoga practice, tailoring the session to your individual needs. 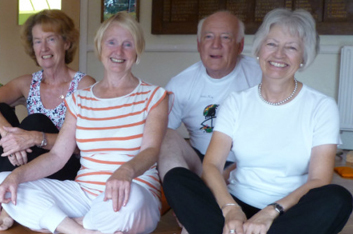 Private yoga classes can take you further in your practice than a group class can. Assisting you in the precise alignment of each asana. Remain at home or come to my studio for a private class. Small group sessions are also available so that you can split the cost with 1-2 other people. Did you know that work related stress has cost businesses millions of dollars a year in employee turnover accidents, absentee-ism, diminished productivity and low morale? Corporate yoga brings yoga to your office to energize and keep your employees happy and healthy! Corporate yoga is being embraced by many businesses around North America. Companies are getting smarter by offering Yoga Wellness programs to their employees with the goal of transforming tension and fatigue into alertness, stamina, greater productivity and morale. As an employee benefit and preventative health measure, this proven stress reliever is a low cost perk for your employees. In the never ending world of business competition, why should any Company consider adopting yoga? A typical 1 hour session includes simple and easily integrated breathing, gentle warm ups and dynamic stretching postures and restorative relaxation. Employees regularly release stress and tension leaving them calm and refreshed with an increased ability to manage the modern daily challenges of todays fast paced world. Fully qualified yoga instructors who have been selected for their gentle and encouraging style and understanding of the needs of the corporate environment. Convenience of one hour length classes which can be scheduled before or after work, during lunch hours, or other times of the weekday. Longer or shorter classes are available. Yoga is the oldest system of personal development, encompassing the body, mind, and spirit. 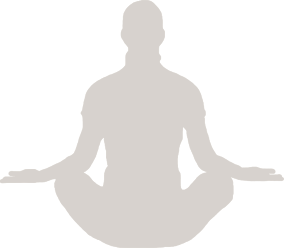 Through a combination of yoga postures, breathing techniques, and relaxation, practicing yoga will strengthen and tone muscles, reduce stress, relieve chronic pain and enhance your immune system, creating optimal health, greater understanding, and inner peace. (Health benefits may include improving circulation, lowering blood pressure and cholesterol, alleviating symptoms of diabetes, arthritis, headaches, back and joint problems, insomnia and depression.) You can enjoy the benefits at any age or level of practice. Some people swear by yoga’s healing and conditioning properties. Others who misunderstand its potential swear when they hear its name mentioned. Many people misunderstand what yoga is all about. Here are some MYTHS about the ancient art to unearth its benefits even for the average person. Although women are usually more willing to try new activities, men are flocking to yoga classes. And they are being challenged. In fact, yoga originated in India where until recently, it was mainly practiced by men. MYTH #2: If you’re not in great shape, don’t bother. So if you’re not strong, you shouldn’t lift weights? Yoga can help you get into shape, and it’s a perfect starting place if you’re new to exercise. Just make sure you find the style and level of yoga that suits your fitness level and goals. MYTH #3: Only skinny people do yoga. Yoga is for everybody, no matter how big or small. Yoga can be modified for anybody and any body type. Weight loss through metabolic changes, reduction of anxiety and impulse eating are among yoga’s multitude of benefits. MYTH #4: You have to be able to turn yourself into a pretzel to do yoga. That is not what yoga is about. Some extremely advanced poses require unique skills, but those are just a scant few. For the most part, poses require no superhuman skills and can always be modified for your body. MYTH #5: You need to be a Gumby to do yoga. Gumbies may have an easier time achieving poses, but remember that yoga will help you gain flexibility. The more you practice yoga, the more flexible you’ll become. MYTH #6: Yoga is only good for stretching. Sure, you will stretch your muscles in yoga poses, but you will also gain strength and muscle tone. Other benefits include improved breathing, balance, posture, mental focus, and in some cases, cardiovascular endurance. Yoga has been shown to help health conditions like arthritis, high blood pressure, insomnia, carpal tunnel syndrome, and lower back pain. MYTH #7: Practicing yoga is like going to church. Yoga is a philosophy, not a religion. As a result, it won’t interfere with your spiritual beliefs. Nor will you be asked to adopt any religious attitudes. 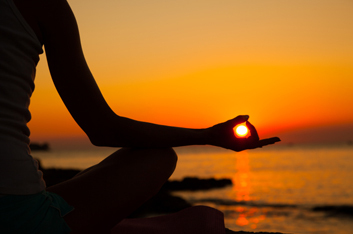 The spirituality of yoga simply revolves around strengthening the bond between your mind, body, and spirit. MYTH #8: You are going to have to umm or chant stuff in yoga classes. Don’t worry if you’re not into chanting, neither are most yoga devotees. While some forms of yoga include chanting, yoga is mainly about moving into various postures and challenging your mind and body to reach their fullest potential. Ironically, even if you don’t intend to meditate, you will. Meditation simply means calming the mind. Through yoga, you will calm your mind, dump the endless chatter, and learn to focus. MYTH #9: Yoga instructors talk in mumbo jumbo. MYTH #10: Yoga is for wimps. Don’t be fooled. Some styles of yoga like Ashtanga or power yoga can be extremely challenging. Even the gentler forms involve an element of challenge. You might actually find yourself weaker than you think, no matter how much you can lift at the gym.